RIO DE JANEIRO — In winning his 23rd gold medal Saturday night, Michael Phelps put an exclamation point on his historic Olympic swim career. Now he will return home to Arizona, where he will spend time with his fiancee Nicole Johnson and three-month old baby Boomer and join his coach Bob Bowman on the deck of the Mona Plummer Aquatic Center at Arizona State University as a volunteer assistant coach. 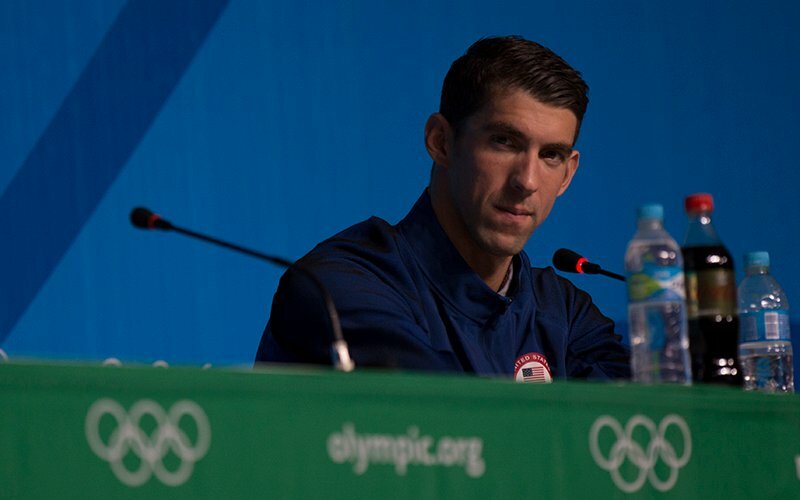 Phelps said Sunday that the 2016 Olympics helped him achieve “closure.” He reaffirmed his decision to retire in his final Olympic press conference Sunday with one word. Now, he will transition from a life spent in the pool to the world alongside it. Phelps is concerned about one aspect of coaching – patience. The athlete with the most medals in Olympic history had a natural ability to grasp concepts quickly as a swimmer. He said it “might be a struggle” to teach others when they don’t immediately understand and improve. However, he’s confident he can make a difference. Phelps added another half-dozen medals to his collection in the 2016 Games, running his total to 28 — 23 of which are gold. In Rio, he won three relays, the 200-meter individual medley, the 200-meter butterfly and received silver in the 100-meter butterfly. He said that the 200-meter butterfly he swam here might be the greatest race of his career; in 2012 in London, he lost that same event to Chad le Clos but got vengeance in Rio, defeating the South African by 0.7 seconds. Phelps plans to extend his teaching beyond Tempe. He hopes to to spread swimming onto a more international stage, for reasons of both competition and safety. More than anything, Phelps can’t wait to spend more time with his family. He said he has barely seen Boomer over the last few weeks.